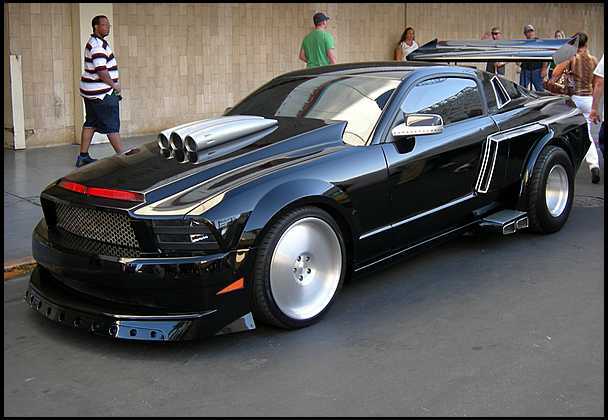 It’s over-modified Mustangs like this that give the Mustang a *really* bad name (the solid axle contributes, too). 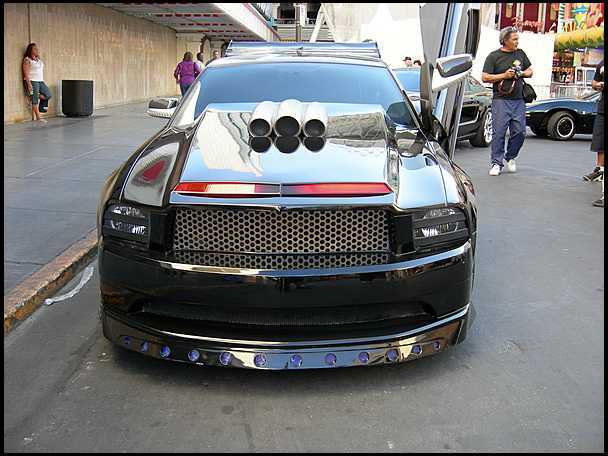 Why would Ford Marketing ever get involved in a monstrosity such as this? For a show that was so bad it was almost immediately cancelled? What was the return in sales from this? Only Ford can tell us for sure. Now Mecum has the “opportunity” to unload auction this POS. According to Mecum: Three versions of the 2008 Mustang were employed in the 2008 series remake of Knight Rider, which featured an impressively high-tech and well-armed transformer car known as KITT: the KITT Hero, a Ford Mustang Shelby GT500KR; the KITT Attack, a super high-speed version of the GT500KR Hero car that transforms into Attack mode with the help of air-ride technology and specialized body parts, and a KITT Remote, a driverless version of the Hero vehicle. The car offered here is the Attack version, which was conceived by famed car designer Harold Belker and built by Cinema Vehicle Services. One of two built for the Attack role, it incorporates the full gamut of custom features, including the requisite “heart beat hood” lighting, spun aluminum high-speed wheels, special aero bodywork and spoilers, a wild hood treatment and an adjustable rear wing. This wild TV car is one of only two built, the other serving as an attraction at Universal Studios in Hollywood, California.